A little kindness goes a long way-and in this latest installment of stories, written by teens for teens, the power of kindness to encourage even the most lonely and dejected is proved again and again. Writing from their hearts and from their own real-life experiences, these teens not only reveal the joy of serving others with kindness but also celebrate the kindness of true friends, the unexpected blessings of random acts of kindness, and the incredible things that an attitude of kindness can accomplish in the most difficult situations. 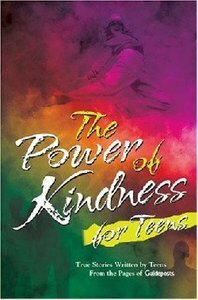 First published in either Guideposts for Teens or in Guideposts magazine, these stories will inspire you to live your own life in the amazing power of kindness. Book jacket. About "The Power of Kindness For Teens"